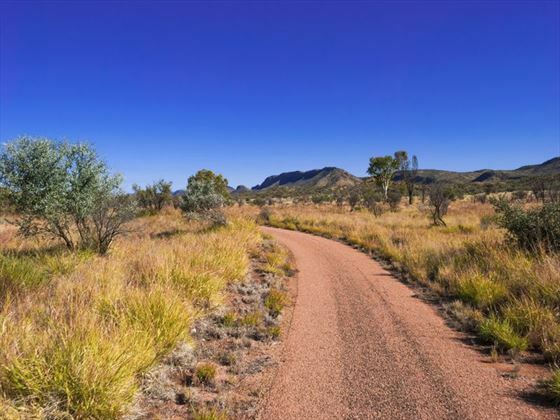 Discover the natural splendour of Australia’s Northern Territory on this fantastic four day self-drive tour. 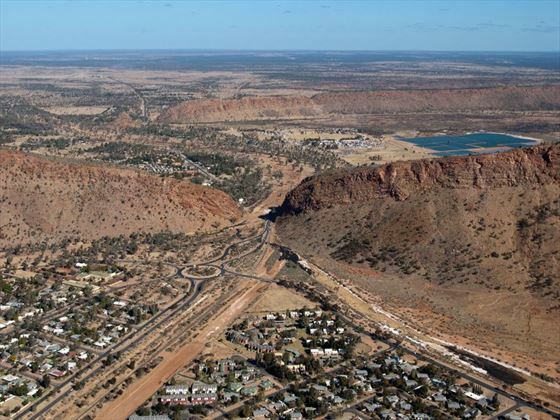 Start with tour by exploring the interesting outback town of Alice Springs. 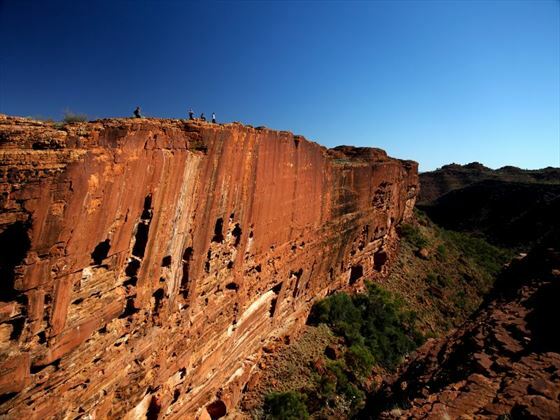 You’ll then venture along the rim of Kings Canyon, wander through the mysterious domes of Kata Tjuta, and marvel at the sensational sunsets and sunrises over the towering Uluru (ATS). 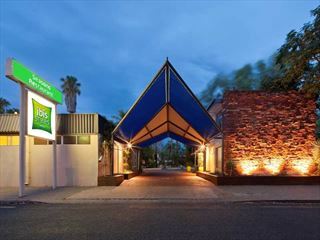 Once you’ve collected your car, you’ll have spare time to explore the fascinating town of Alice Springs and marvel at its iconic attractions, including the Aviation Museum, the Old Telegraph Station, and the Royal Flying Doctor Service. 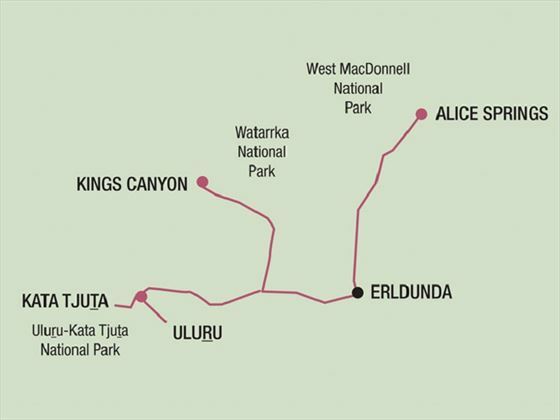 Today you will leave Alice Springs and travel on the Stuart Highway towards Kings Canyon a truly beautiful part of the Watarrka National Park - if you dare, you can walk the rim of the Canyon and gaze 300 metres down to the sweeping valley floor. 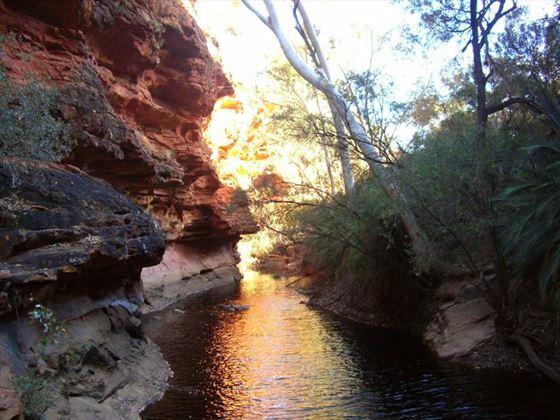 The incredible, rusty coloured sandstone walls frame the ‘Garden of Eden’, a stunning waterhole surrounded by towering palms. 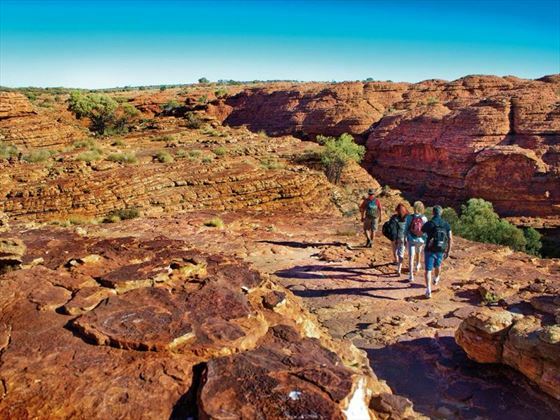 Your day gets off to an early start in order to complete the Rim Walk at Kings Canyon. 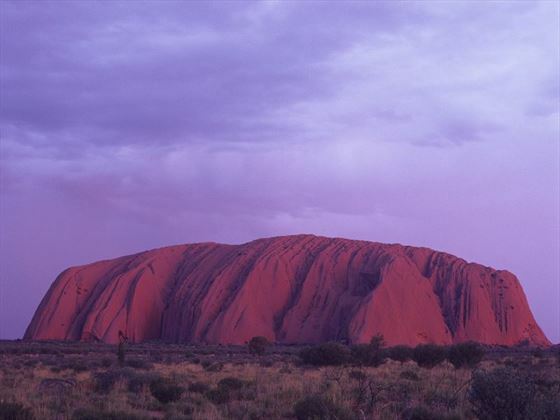 Afterwards, you’ll travel to Yulara to discover the world’s greatest monolith – Uluru and the soaring domes of Kata Tjuta. 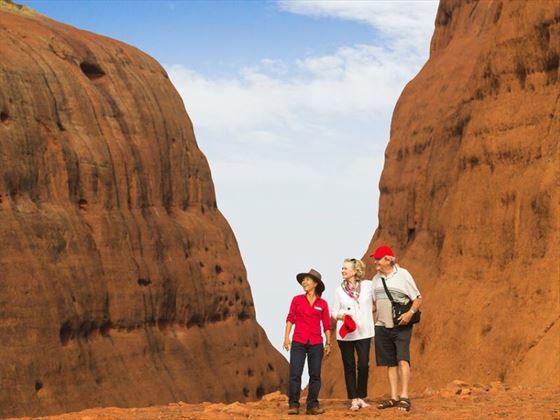 Learn in depth about the region’s rich history at the Uluru-Kata Tjuta Cultural Centre, finding out about the flora and fauna here, how the wonderful landmarks where created, and how the Aboriginal communities have lived here over thousands of years. 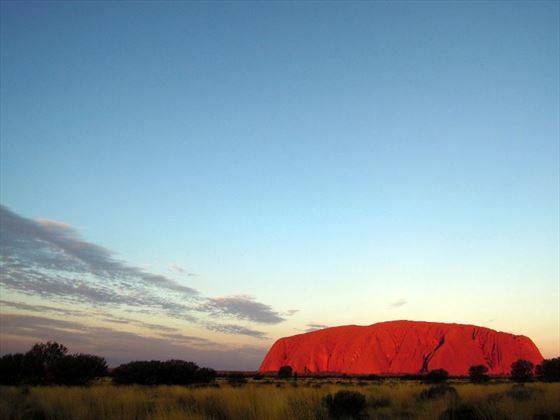 The day comes to a dramatic end with a truly stunning sunset over Uluru, along the famous sunset strip. 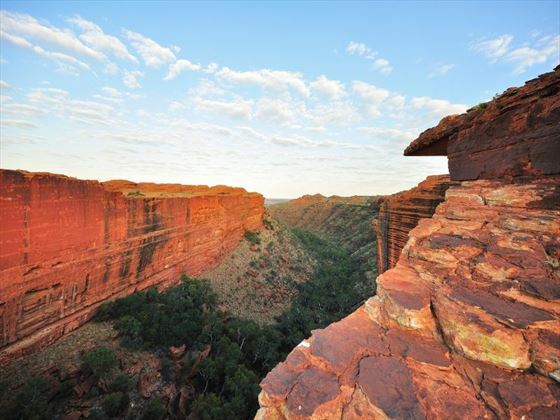 The morning is free for you to explore or relax – perhaps you’d like to marvel at a beautiful sunrise over Uluru, or take a scenic walk into the incredible Walpa Gorge. 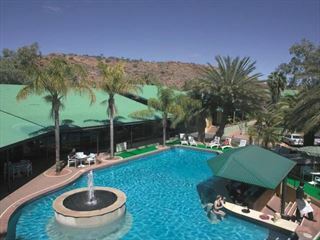 Your car is booked until the following day. 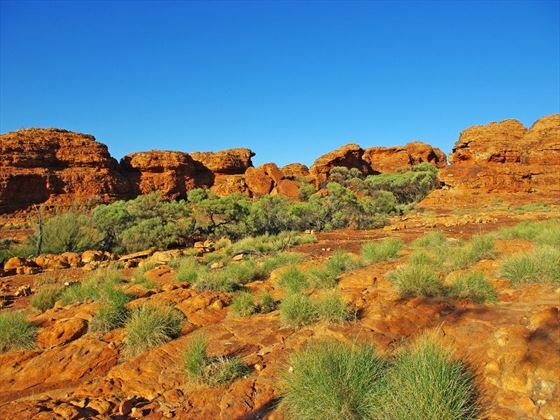 You must return the car at the city or airport by the same time it was picked up on day one, or you’ll be given an additional charge.